April Discussion: "What Guano is Made Of: Race, Labor, and Sustainability"
April 16, 3:40-5 in Huddleston Hall, 3rd floor conference room. Jennifer James, Associate Professor of English and Director of African Studies Program at George Washington University, specializes in African American literature and culture, with a concentration in the 19th century. 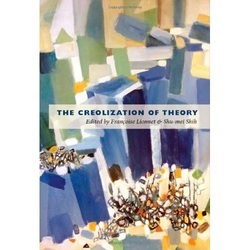 She has a particular interest in theorizing the relationships among literary praxis, representations of blackness, and sociopolitical violence. She is working on two projects: Black Jack: Andrew Jackson and African American Cultural Memory, which traces the history three generations of ancestors enslaved by the President, and a cultural history of a little-known labor riot staged by black American miners during the “nadir.” A short list of her scholarship includes: “What Guano is Made of: Race, Labor and Sustainability ” (forthcoming, special topic issue of American Literary History on sustainability and American literature) and “Ecomelancholia: Slavery, War, and Black Ecological Imaginings” in Environmental Criticism for the 21st Century (eds. Stephanie LeMenager, et. al., 2011). 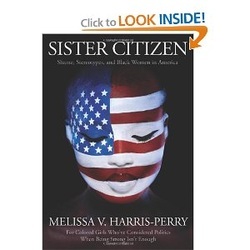 In this groundbreaking book, Melissa V. Harris-Perry uses multiple methods of inquiry, including literary analysis, political theory, focus groups, surveys, and experimental research, to understand more deeply black women's political and emotional responses to pervasive negative race and gender images. Not a traditional political science work concerned with office-seeking, voting, or ideology, Sister Citizen instead explores how African American women understand themselves as citizens and what they expect from political organizing. Harris-Perry shows that the shared struggle to preserve an authentic self and secure recognition as a citizen links together black women in America, from the anonymous survivors of Hurricane Katrina to the current First Lady of the United States.